Over at the blog of Digital Worlds is an excellent article on creating a Game Design Document, which starts by asking, “what questions do game designers need to ask before they start work on the design of a game,” and more. There is a nice org chart detailing the team needed for an educational game, and the need for educator inputs and where they fit in. The article continues with a flow chart showing who should be involved at which steps of game development. Most of the article, however, discusses the creation of a Game Design Document, with a bullet list of the process used by the Program Ace company. It offers some links to alternative methods, and notes on how to integrate those with Program Ace’s process. Once the design process has begun, it doesn't hurt to know what video game music scores and tracks will go along with your design; and of course SmartSound has a lot to offer. There are the many thousands of tracks available from SmartSound’s royalty-free music library, which makes it easy to find the kind of track you need for a scene or level. For example, during a period of frantic activity when the character is losing, check out the SmartSound search results for Ominous Action tracks. A great example picked from the results list is Codebreaker, especially if you use the Gunned Down variation - every track has multiple variations and you can fully customize the length to perfectly match your cut scenes, or looped during action segments. You can read about Choosing Music for Your Video, for more on selecting the right score for the scene. Though written for video producers, many of the same considerations apply to making video games. 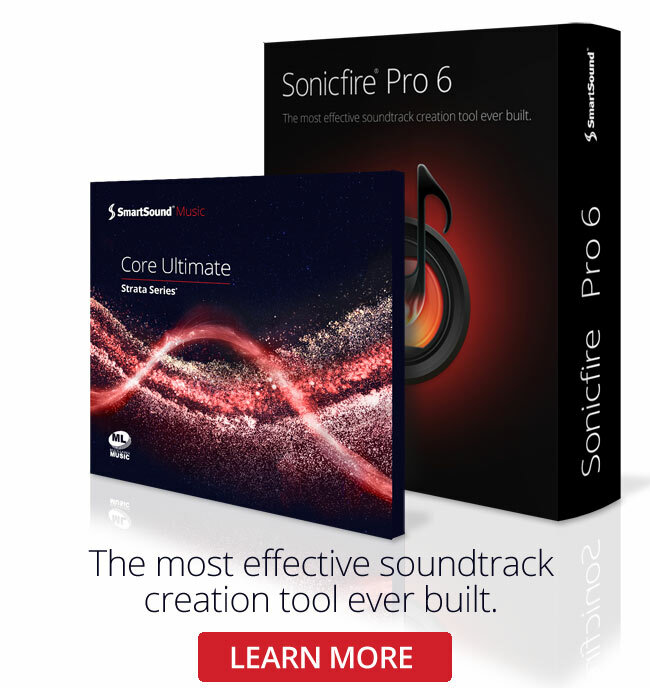 Finally, if you just want to try out SmartSound’s award-winning technology, you can use 5 free tracks as long as you credit SmartSound!